In a separate project from this blog, I’ve sketched out what a “vibe” might look like if factored in terms more amenable to aesthetic discourse (though not nearly so formalized as Grietzer’s computational sense). I’m tentatively carving up a film’s (or visual artwork’s) vibe into six constituent vectors (sources). Those are structural, sociocultural, emotional, representational, stylistic, and tonalchromatic. 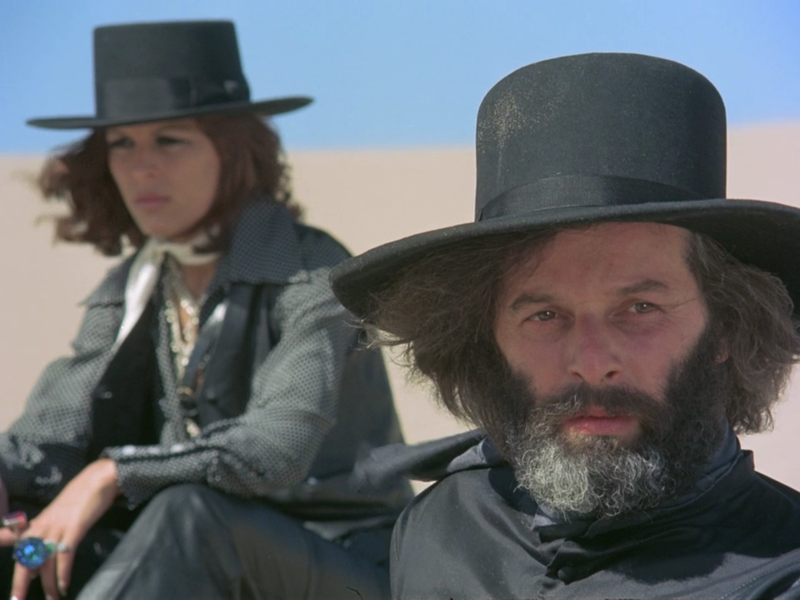 To illustrate I’ll break down the vibes of Jodorowsky’s 70s cinema, especially El Topo and Holy Mountain, as a study. There are correspondences, for example, between the sociocultural vibe-component Buddhism and the representational vibe-component the Om, or between the representational vibe-component laughing crowds and the emotional vibe-component humiliation.